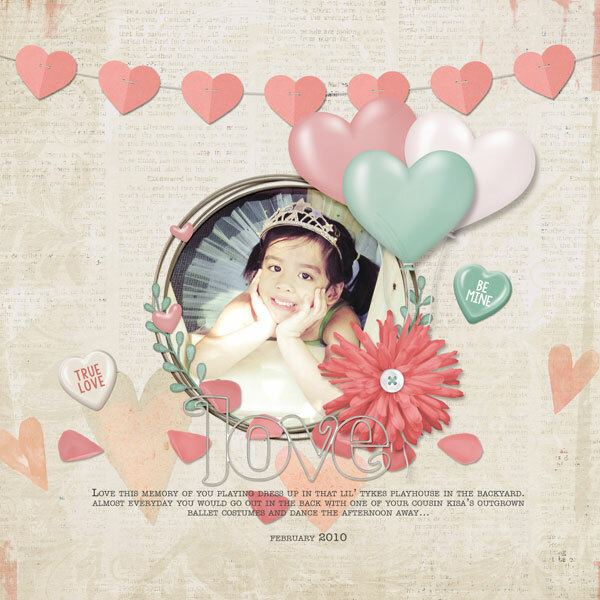 Celebrate Valentine's Day every day of the year with this sweet little digital scrapbooking kit. This versatile collection features a color palette of soft pinks, cool mint greens and splashes of chocolate brown. Embellishments include love-themed items such as chocolate, heart-shaped balloons, flower petals, as well as general items like flowers and washi tape. Wordart features conversation hearts while background papers can be used for any type of layout. 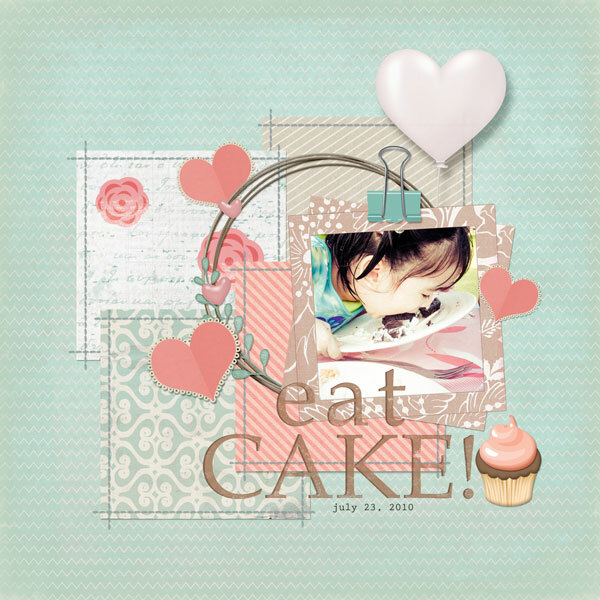 Create adorable and girly school-themed digital scrapbooking pages with this collection. Full of pinks and contemporary pastels, this kit is also versatile enough to be used for other types of pages featuring the girls in your life. Create your own birthday or invitation cards with this kit. Mix and match the embelllishments and papers for different looks! A card template in both PSD and PNG is also included to give you a headstart. Scrap those Easter memories with this kit. With a color palette of dusty pink, cool mint and powder blue, this collection will give your Easter layouts a soft, nostalgic feel. The collection also includes Easter-themed embellishments such as a chocolate bunny, jelly beans, several types of eggs and much more.